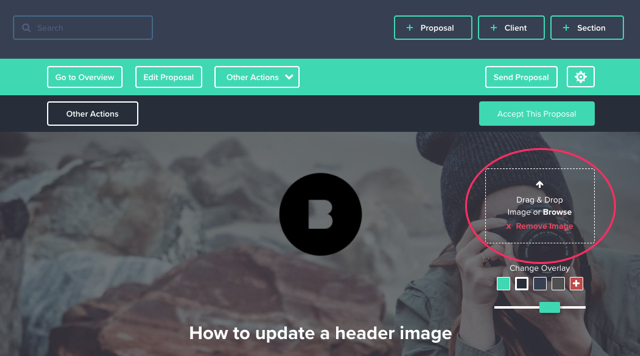 To update an image in your proposal header, make sure you are in edit mode and then click "Preview Proposal". From here you can either drag your image directly into the header area or if you prefer, search for an image on your computer. Once your image has been uploaded you can adjust the overlay colour and opacity to obtain the best look. Recommended image size: 1440px x 600px. (Approximately).